These photos show the main castle which Elizabeth Bathory lived. She was born and buried in Nagyecsed, but lived much of her life in Transylvania. She was married at a young age, but at this time-outs women who were of noble birth were expected to have a husband and several children by the time they were in their 30s if not earlier. 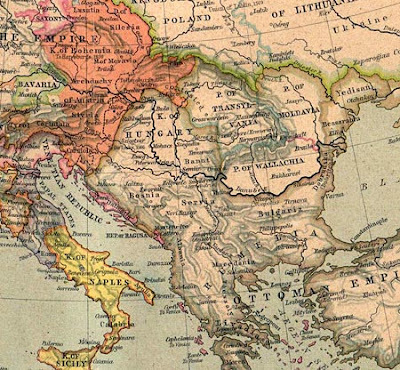 Transylvania was a part of the Kingdom of Hungary, and Bathory was a part of the Hungarian nobility. The Castle she lived in- in the two photographs to your left- is not like Bran Castle. That castle which is still in a pristine state, is unlike hers which is now ruins. Hers is found in a national park, and Bran Castle is the site of many tourists stops when they go to Transylvania. 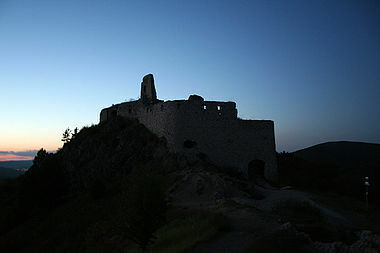 The castle fell into ruin in 1708 after much of the interior was plundered. The most infamous resident was Bathory. She would be one of the first female serial killers, but one with the most notoriety. She would be remembered at a later date in the book: Dracula: The Un-Dead by Dacre Stoker-- a book with both her and Count Dracula as major characters. She killed, it is reported starting in 1604, 600 young women. These women were mostly peasants. The castle was part of her marriage gift from her husband, and was called Cahtice Castle. Bathory used her maiden name, and would later gain the epitaph of the "Bloody Lady" or the Countess of the Blood. other Castles she lived in included: a family estate in Hungary, and Nadasdy Castle, which she lived in while her husband was in Vienna. Most of her life was lived in Hungary and Transylvania.